Zynga has long faced skepticism about whether FarmVille and its ilk are the foundation of a strong business model. Unfortunately for the social-games company, this year has only proved the naysayers right. The latest and worst blow to Zynga came last week, when the company dropped plans to pursue a license for online gambling in the United States. The potential for U.S. "real-money gambling" had been just about the only bright spot for Zynga, as investors remain doubtful that online social games are enough to carry the company. Zynga (ZNGA) has offered online gambling in the U.K. since April, but investors are clearly laser-focused on the loss of the American opportunity. Zynga stock plummeted as much as 17% on the news, after gaining an incredible 50% since the company applied for a gambling license in Nevada in December. Zynga chalked up the decision to a "focus choice," intimating that the company wants to refocus on its struggling social games business. Pursuing real-money gambling in the United States would likely have taken a lot of time and resources and may never have come to fruition -- so far only Nevada, Delaware and New Jersey have legalized gambling on games of chance. With the American gambling dream over, Zynga is at a crossroads. Its social games are underperforming, the stock remains below a paltry $3, it just underwent two rounds of layoffs, it shuttered offices, and company co-founder Mark Pincus stepped down as CEO at the beginning of July. For all the spots of bad news that Zynga has dealt with lately, in truth, they sprung out of one central problem: Zynga has struggled to expand on the success of initial hits like FarmVille and Words With Friends. Related story: Can Microsoft's games whisperer save Zynga? Solving that core business problem will fall to Zynga's new CEO, former Microsoft (MSFT) Xbox head Don Mattrick. Zynga wouldn't comment on this story, pointing instead to Mattrick's recent remarks during the company's second-quarter earnings call. On that call, Mattrick spoke at length about the "need to get back to basics," adding that he feels Zynga is "missing out" on the growth in casual gaming. Specifically, Zynga has cited weakness in its flagship -Ville game series. Zynga shut down about a dozen games in October, and several more have folded since then after failing to take off with players. Gaining gamers has become more difficult in a hotly competitive market. Just this week, Facebook (FB) unveiled a new publishing platform aimed at promoting titles from small- to mid-sized mobile game developers. To sidestep that competition, Zynga tried buying success. In March 2012 the company bought "Draw Something" maker OMGPOP, but that proved to be yet another costly mistake after the game's faddy popularity wore off. 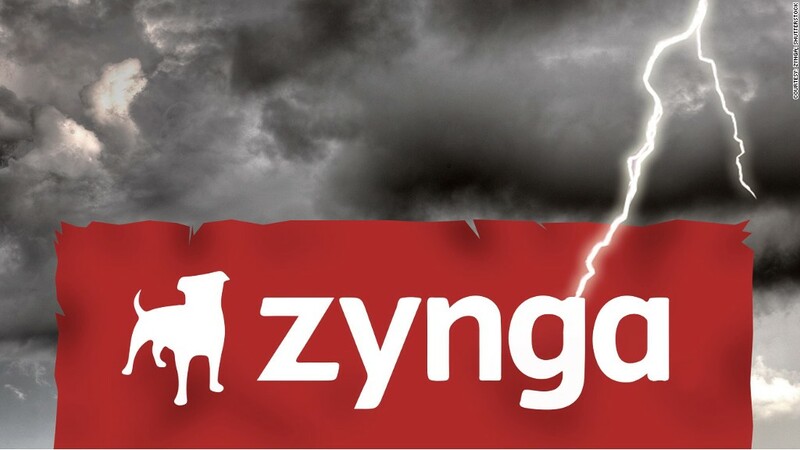 Zynga was forced to take a $90 million writedown on the deal, about half of the OMGPOP purchase price. Clearly, smart acquisitions aren't Zynga's white knight, and U.S. real-money gambling isn't either. Zynga desperately needs to refocus on its core game-creation business and figure out how to get players excited about more than just virtual farms.